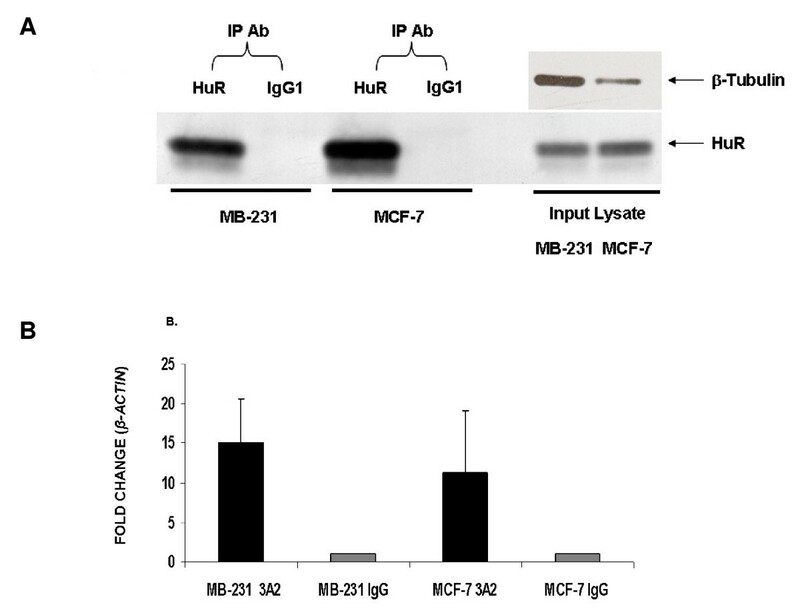 RIP-Chip was performed on cytoplasmic lysates from both breast cancer cell lines with HuR antibody and isotype control in order to determine HuR associated mRNAs. Each immunoprecipitation was done at least three independent times with matching controls. Signals from isotype control were subtracted out. Recovered mRNA was amplified and hybridized to Illumina Sentrix Human arrays consisting of 47,000 genes. Figure 2 represents a composite array generated by combining hybridizations to twelve different arrays (log2 scale). 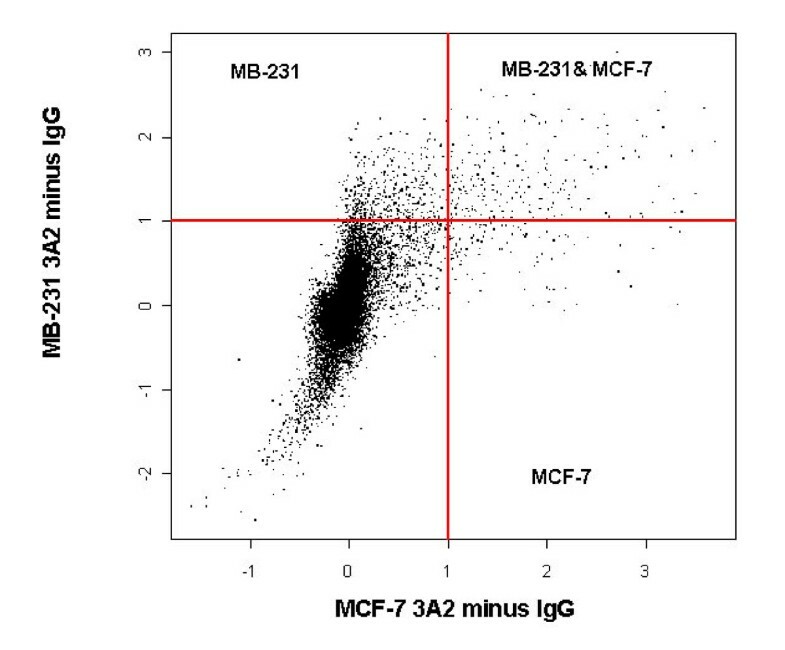 Three groups of HuR-associated target genes were identified: MB-231 targets in the left upper quadrant; both MB-231 and MCF-7 targets in the right upper quadrant; MCF-7 targets in the right lower quadrant. 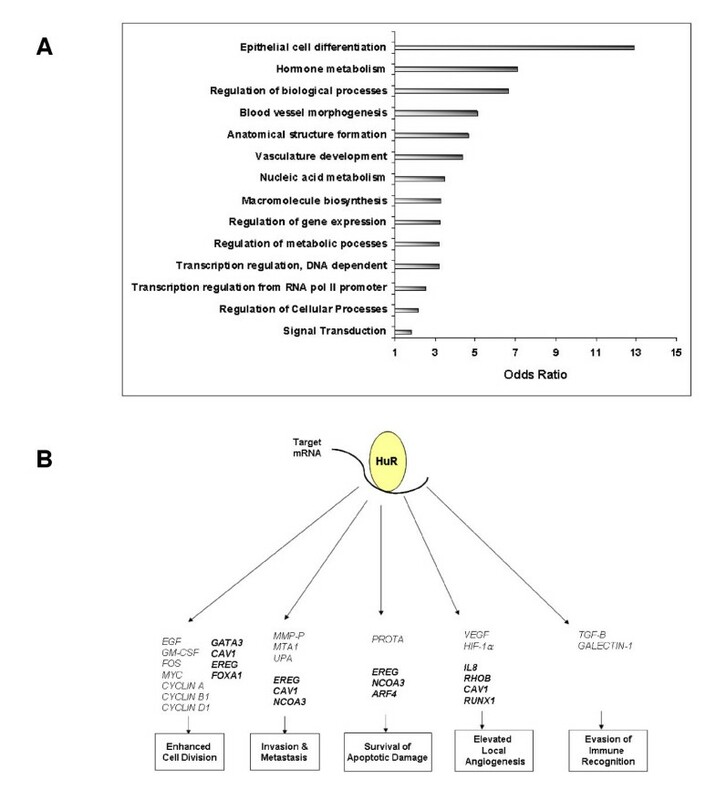 As expected, most of the mRNAs did not associate with HuR and were located in the lower left quadrant. 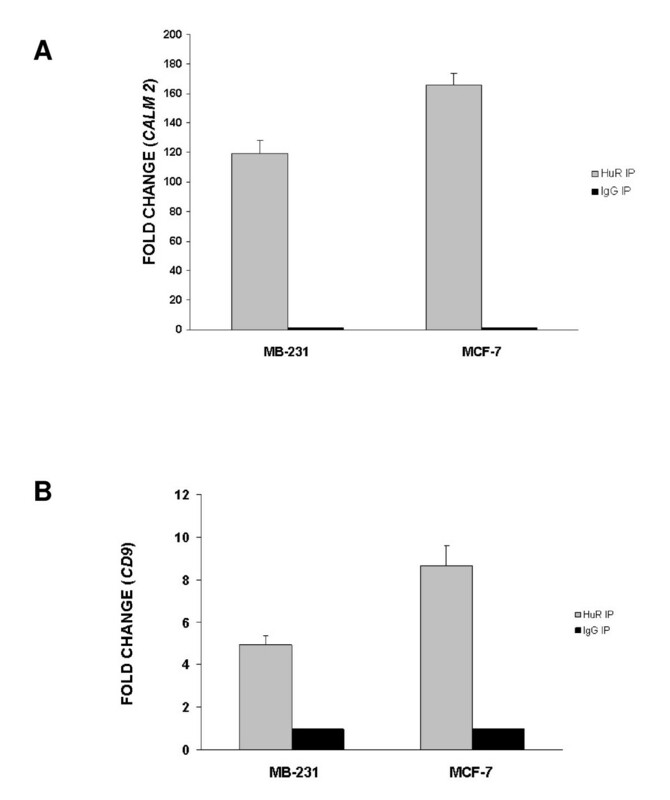 There were 395 and 64 annotated genes, at least 2 fold or more enriched, associated with either MB-231 or MCF-7 cells, respectively, and 182 genes associated with both cell lines. A complete list can be found in Additional File 1, Figure S2. The raw data files are available in the NCBI database at the following link: http://0-www.ncbi.nlm.nih.gov.brum.beds.ac.uk/geo/query/acc.cgi?token=pdsnrqmiawukqlm&acc=GSE17820, NCBI Accession number GSE17820). These genes generally fell into three groups. 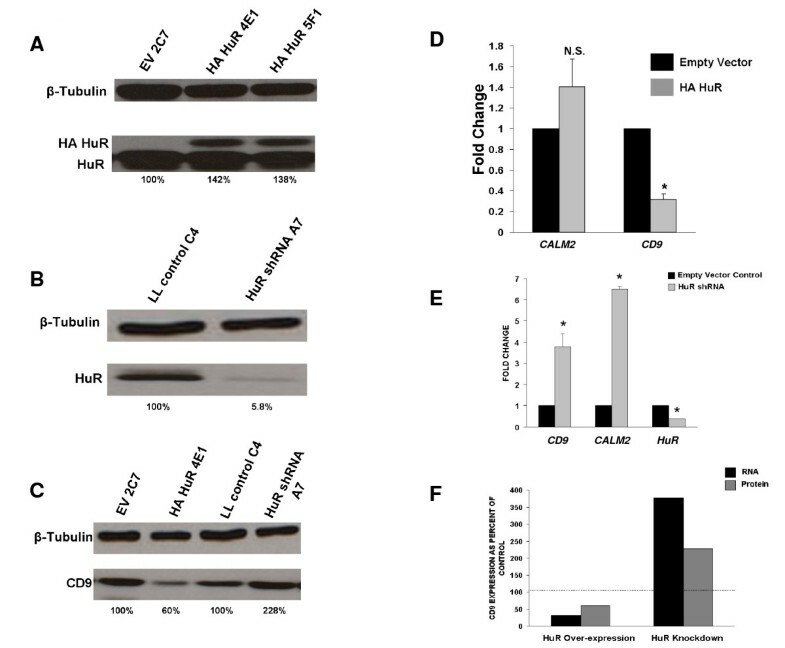 Group 1 consisted of cancer-associated genes which were known HuR targets, such as PTMA mRNA. 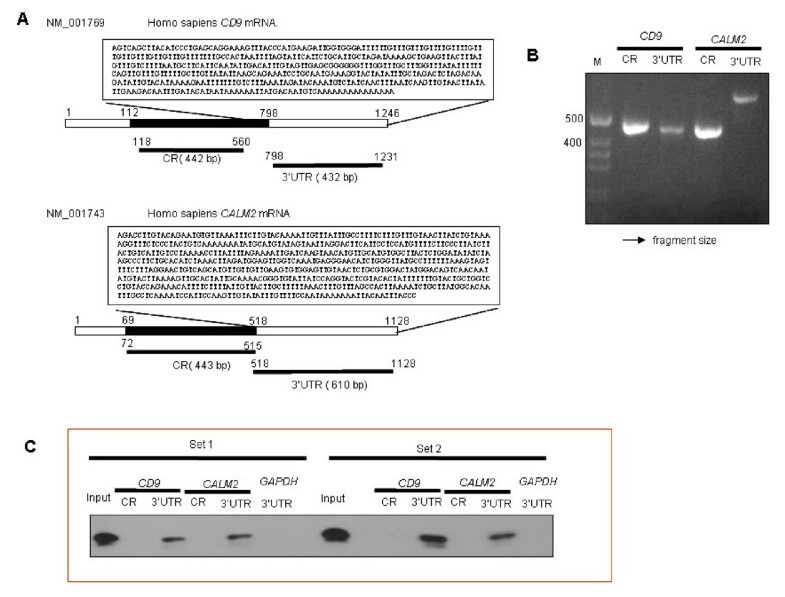 Group 2 consisted of genes which played a role in cancer but were not known to be HuR targets. 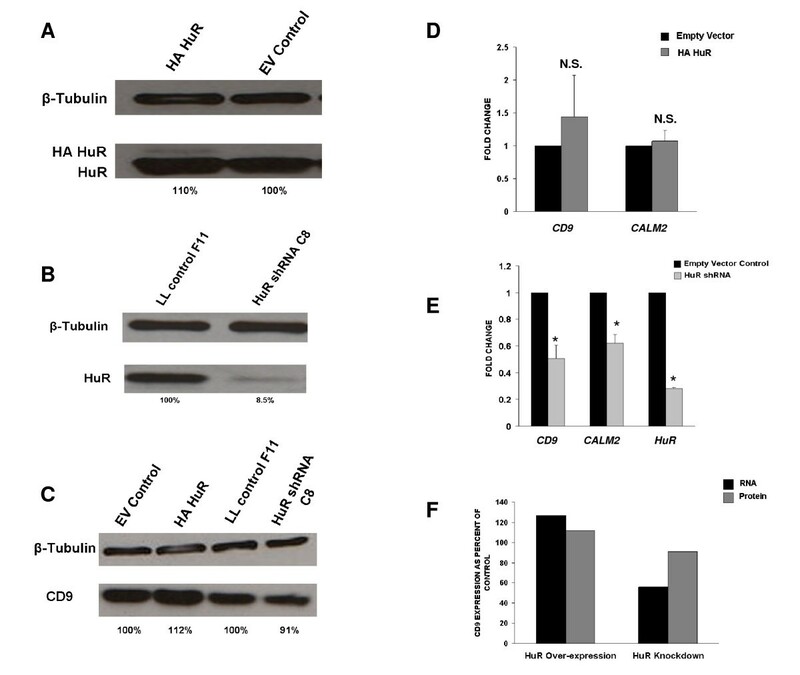 Group 3 consisted of genes with an unknown function in cancer, but which may be regulated by HuR. These data revealed that HuR was associated with distinct subsets of mRNAs in ER+ and ER- breast cancer cells.